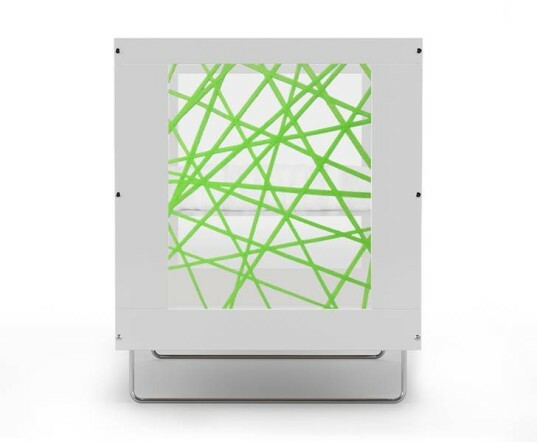 Spot On Square has been designing impressive, eco-minded baby and kids furniture for years and this fall they've just debuted their newest collection, Alto, at at the ABC Kids Expo in Las Vegas. Alto is unique in that, unlike other Spot On Square collections, which are mostly available in natural shades, this new line brings a pop of color to baby's nursery. Keep reading to learn more about this upcoming collection. According to Spot On Square, the Alto collection is influenced by the mixed material usage within modern architecture. 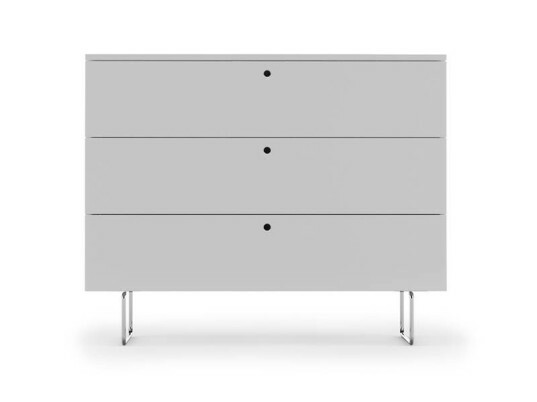 The collection combines modern translucent panels with encapsulated natural materials and the new Alto crib and dresser sit atop gracefully curved chrome legs which help accent the modern white body. The most unique thing about Alto is the added color options. 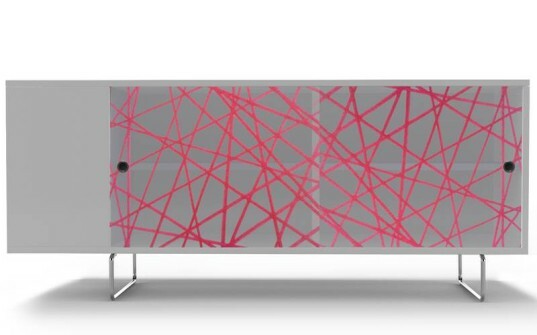 The translucent panels with encapsulated natural materials do more than add a modern feel to the furniture, but also offer color. With options such as polka dots, or colorful green or red lines, you can pick a design that will match other hues in baby’s nursery. As with other Spot On Square designs, safety and sustainability are top priority. 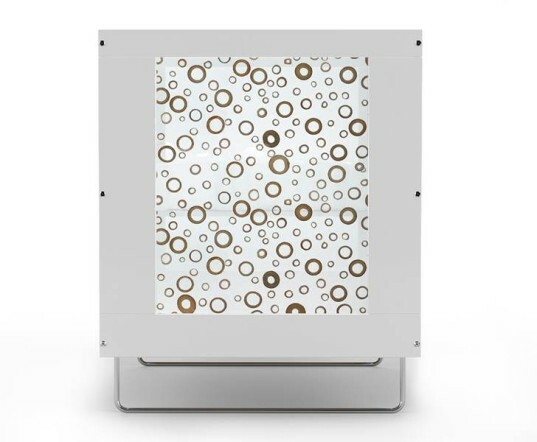 The translucent panels are free of harmful materials such as BPA, phthalates, dioxins, lead, cadmium or endocrine disruptors. The company has a Forest Stewardship Certified Factory and uses safe materials such as the highest Green Grade, Eco-Friendly MDF made from 100% recycled wood, water-based finishes and recycled cardboard packaging. The company even makes sure all wood waste is recycled to heat the factory. 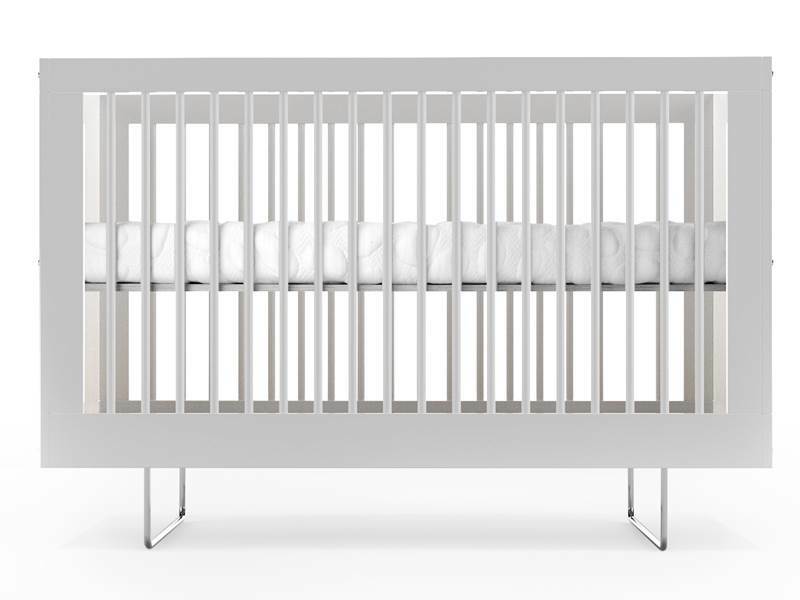 The Alto collection offers most pieces you’ll need to create a decadent baby nursery including a modern crib, dresser, changing tray, bookshelf and credenza. The best part is that while Alto looks amazing in the nursery, these pieces are in no way overly kiddish, so once your baby isn’t so little anymore, the pieces (aside from the crib), will transfer seamlessly into an older child’s room and eventually to a college dorm or apartment. The Alto collection is expected to be released in early 2014 so until then, keep an eye on the Spot On Square website for more updates and pricing when it becomes available. The most unique thing about Alto is the added color options. 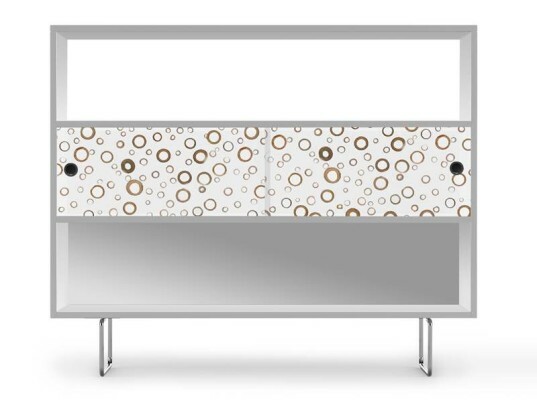 The translucent panels with encapsulated natural materials do more than add a modern feel to the furniture, but also offer color. With options such as polka dots, or colorful green or red lines, you can pick a design that will match other hues in baby's nursery. The Alto collection offers most pieces you'll need to create a delicious baby nursery including a modern crib, dresser, changing tray, bookshelf and credenza. The best part is that while Alto looks amazing in the nursery, these pieces are in no way overly kiddish, so once your baby isn't so little anymore, the pieces (aside from the crib), will transfer seamlessly into an older child's room and eventually to a college dorm or apartment.